First time director Tim Miller is on top of the world rn, since his debut film Deadpool has just had the best ever opening for an R-rated film. But this isn’t the first time he’s played in Marvel’s toybox. Before he was a director, Miller was head of animation company Blur Studios. Back in 2007, when the first Iron Man movie was in production, Marvel found that the character wasn’t registering well with kids, as they didn’t know who he was. 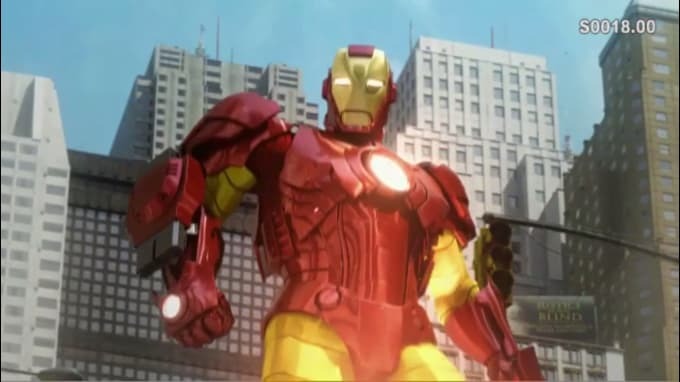 So they commissioned Blur to make a three-part short introducing Iron Man to kids, alongside Spider-Man and The Hulk. The shorts went online, but since back then streaming wasn’t anywhere near as commonplace as it is now, they went virtually unseen. Now Marvel’s Chief Creative Officer Joe Quesada has been sharing them on his Tumblr, following Deadpool’s success. He also offers some interesting notes on their creation. They’re a fun little watch, and considering that CGI is ten years old, it stands up pretty well.